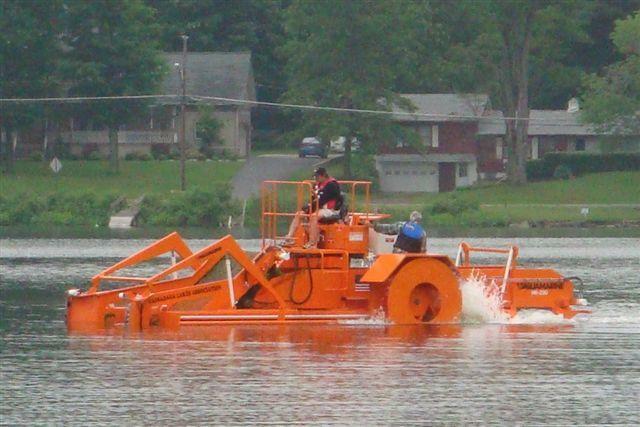 The Cassadga Lakes Association performs weed cutting on the Cassadaga Lakes throughout the summer recreation season. Weed cutting is an environmentally friendly way of eliminating noxious weeds that if left unchecked would diminish the quality of the lakes. Our funding from municipal sources only covers about half of our expenses. As such, we rely on membership dues and fundraising for the rest. It is with YOUR support that we keep the lakes pristine for your pleasure! !